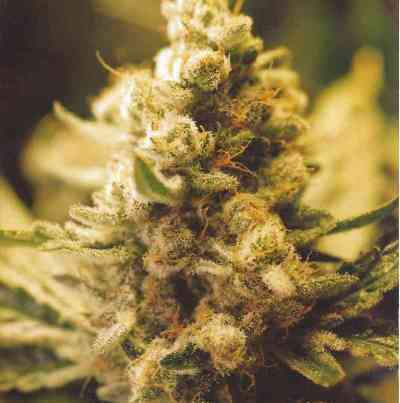 This is a cross between a high-yield AK-47 and Orange Bud. 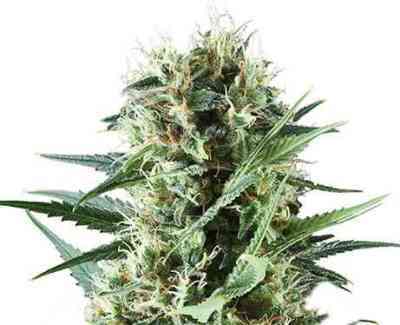 As soon as it germinates you’ll start to realize how sturdy this ultrafast, extra-high-yield sativa hybrid really is. Flowering may start after 56 days, with more sativa-rich phenotypes taking up to 65 days. Flowering outdoors can be expected for the last week in September and first week in October. A tip: as this is quite a strong-smelling plant, with a smell of freshly cut grass and tangy fruit, you’ll need a good anti-odour system to avoid problems outdoors. The trichomes that build up on the flowers give the plant a perceptible sheen. Due to the high concentration of trichomes, you will obtain a plant with high THC levels, making it suitable for medicinal use.